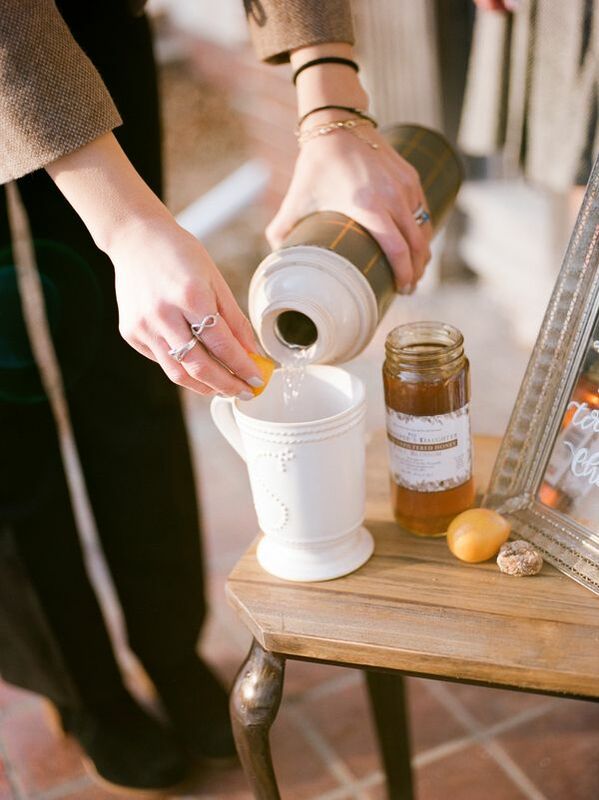 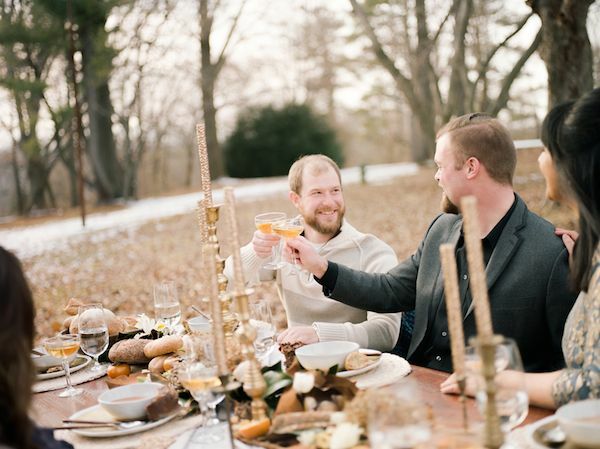 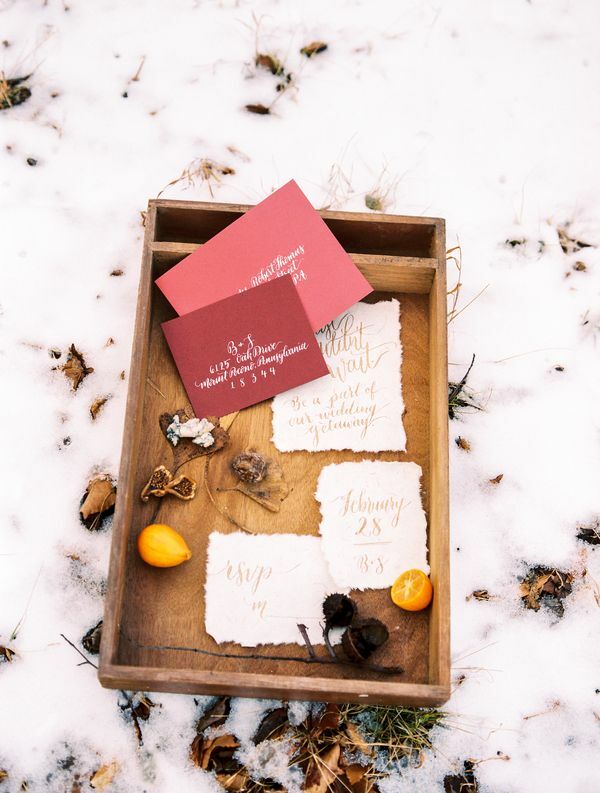 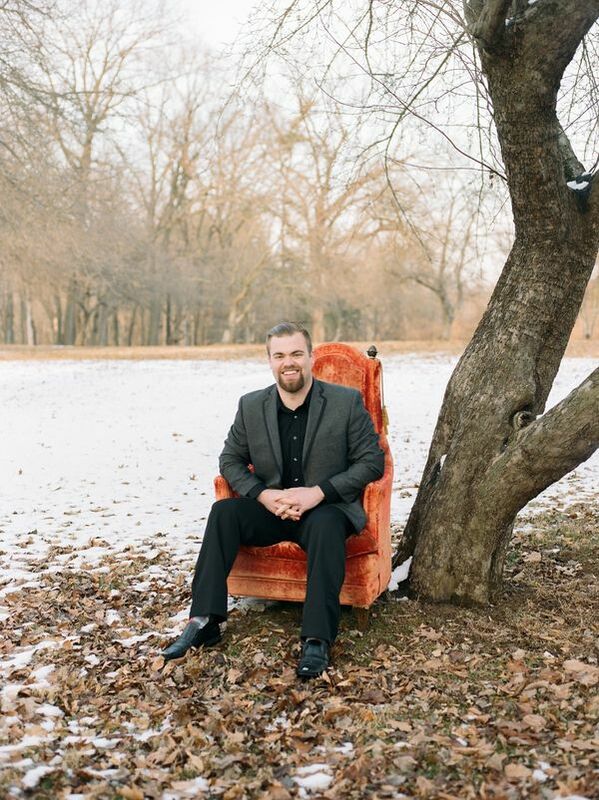 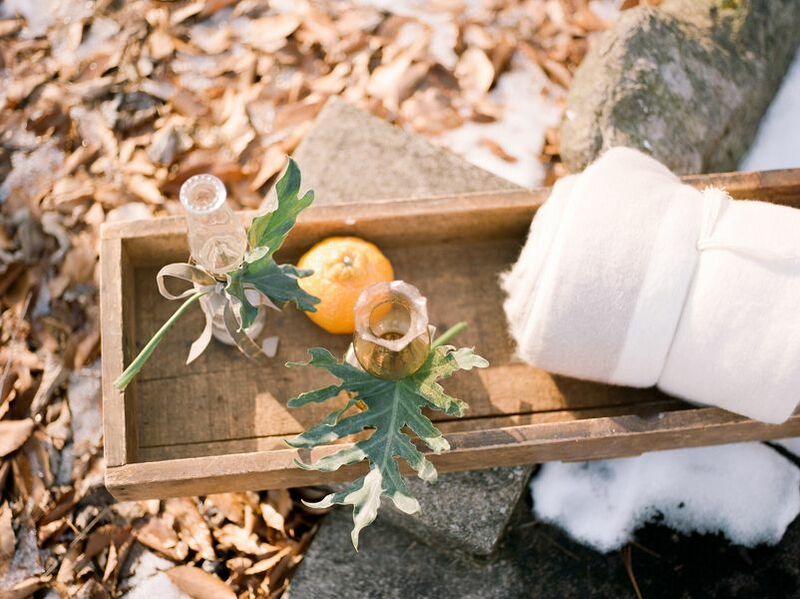 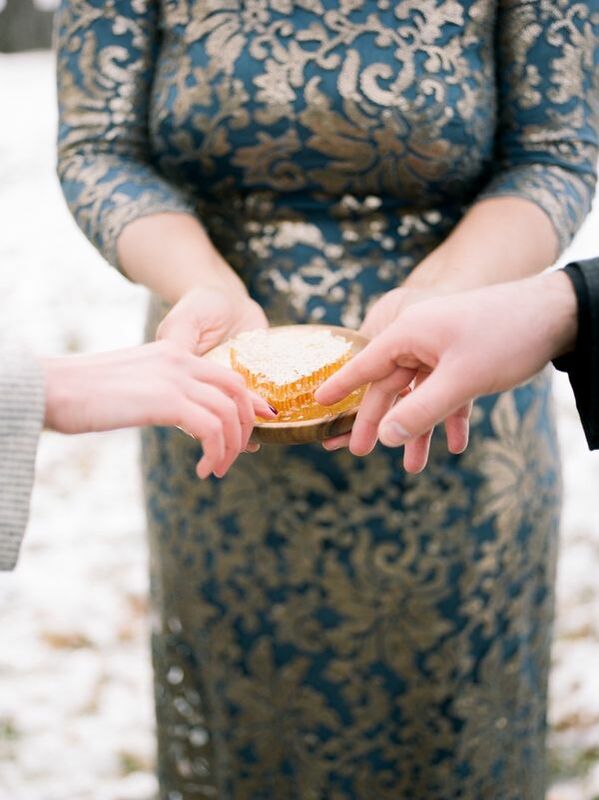 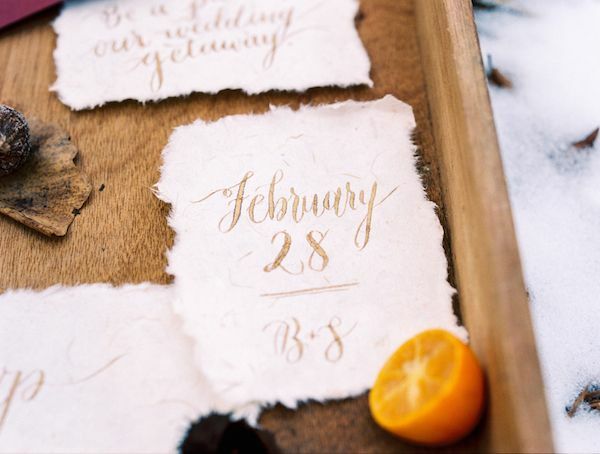 If we were tasked to pull together a sweet elopement to each of our sweethearts in the middle of winter, this elopement from Jess Watson Photography is exactly what we're picturing in our minds! 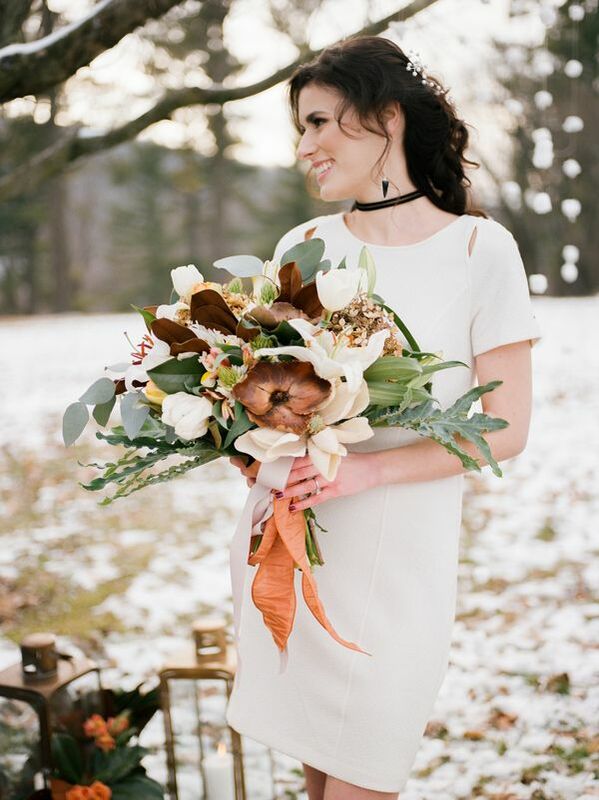 Just once glance is all it takes to be immediately enamored with this shoot crafted by Story by Design Events, from the dreamy Pennsylvania estate in the background (Jay Gatsby, eat your heart out!) 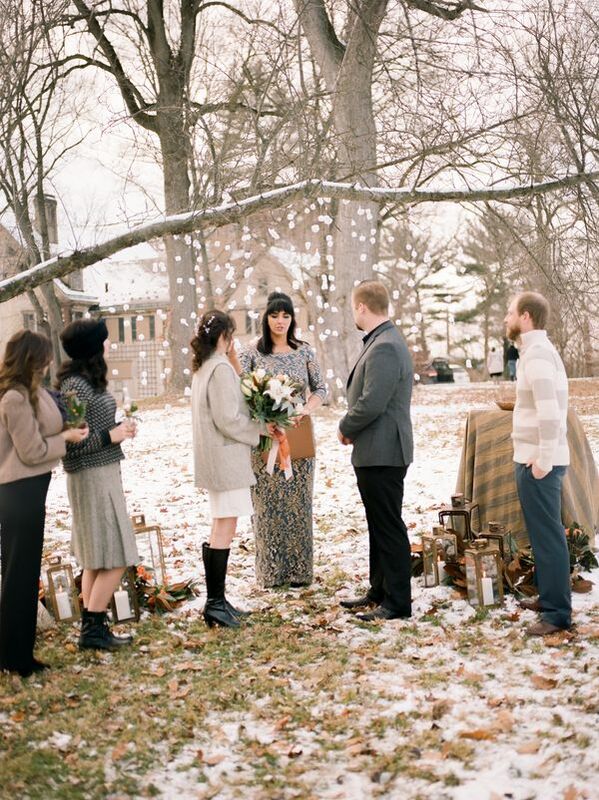 to the warmth and love overflowing from the mini-reception with close friends following the nuptials. 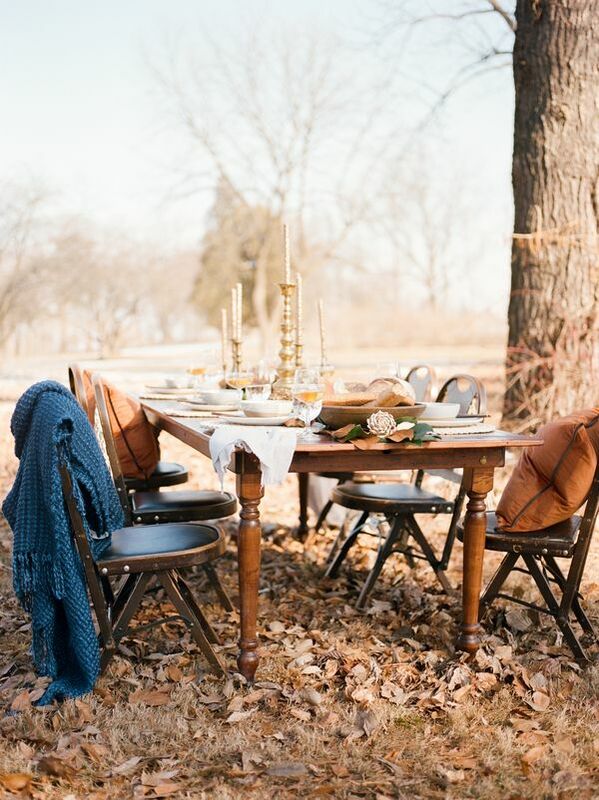 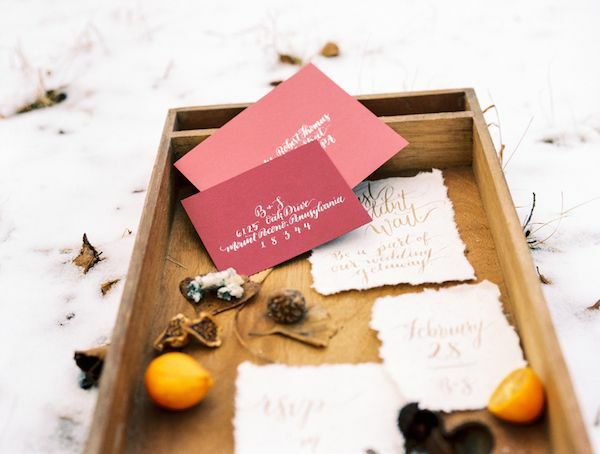 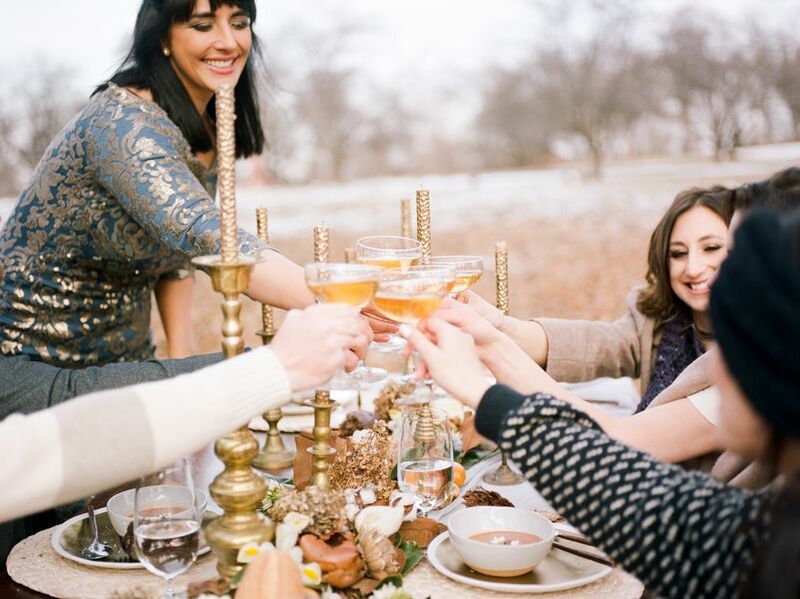 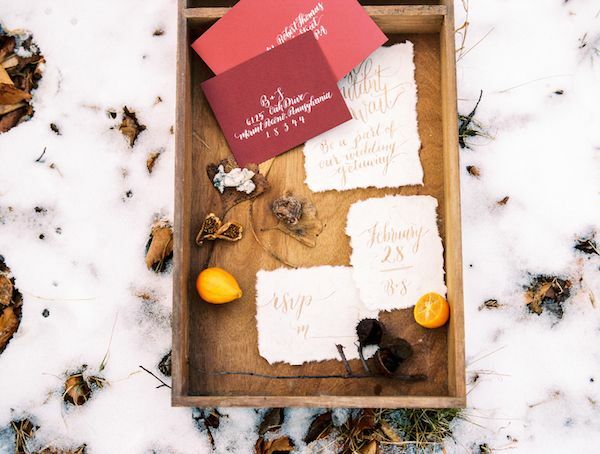 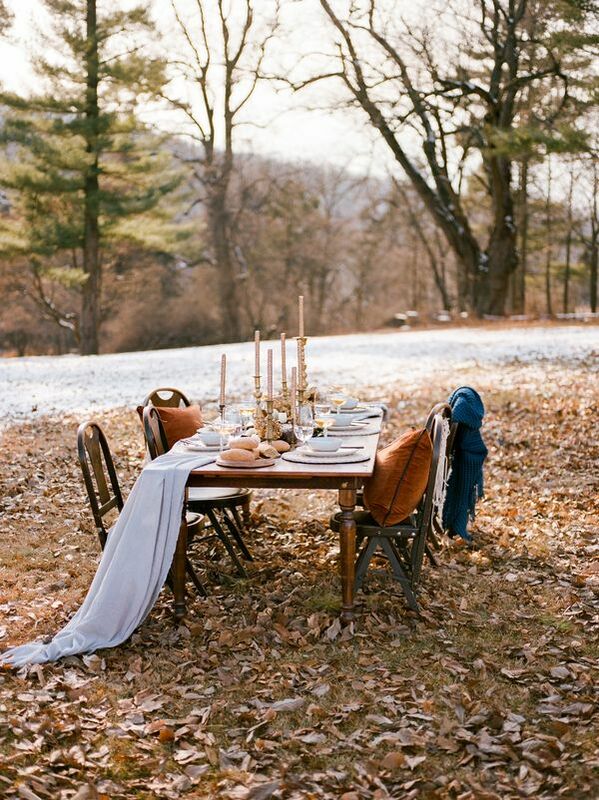 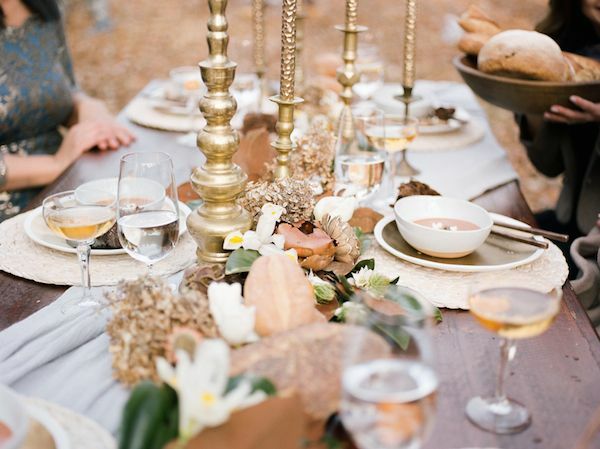 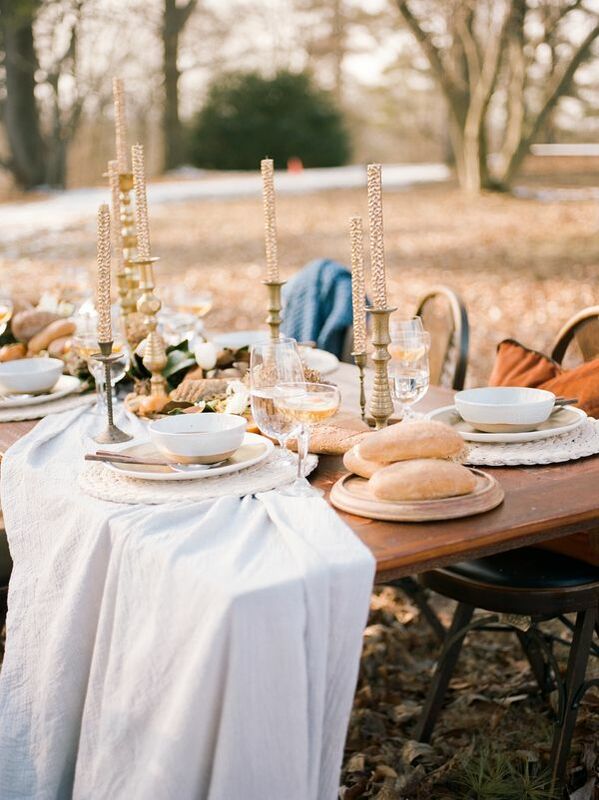 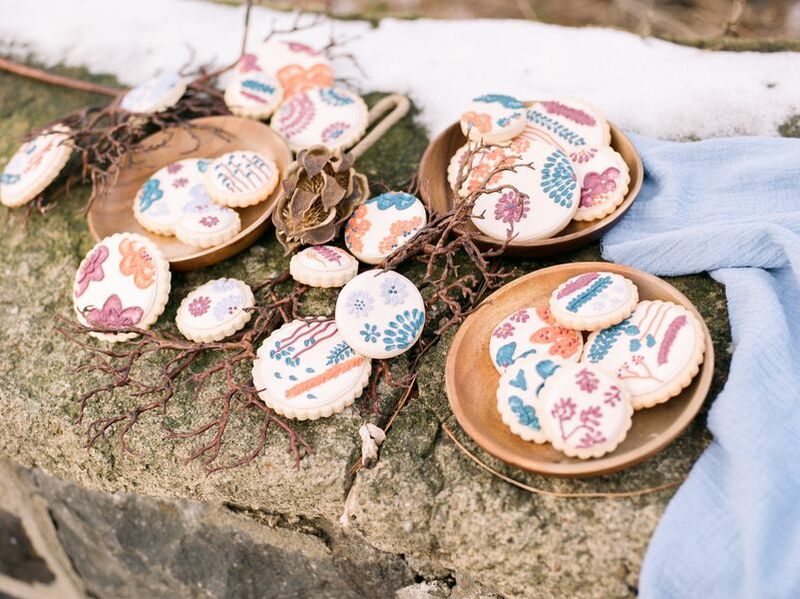 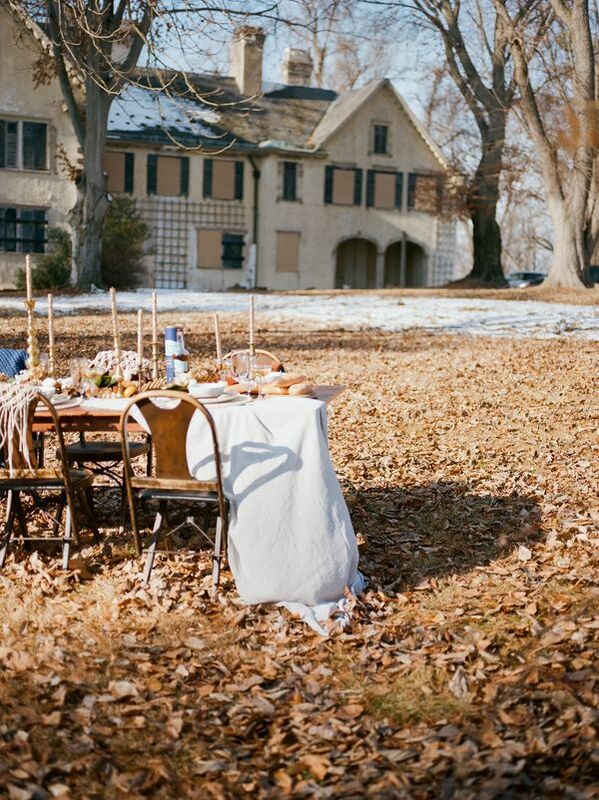 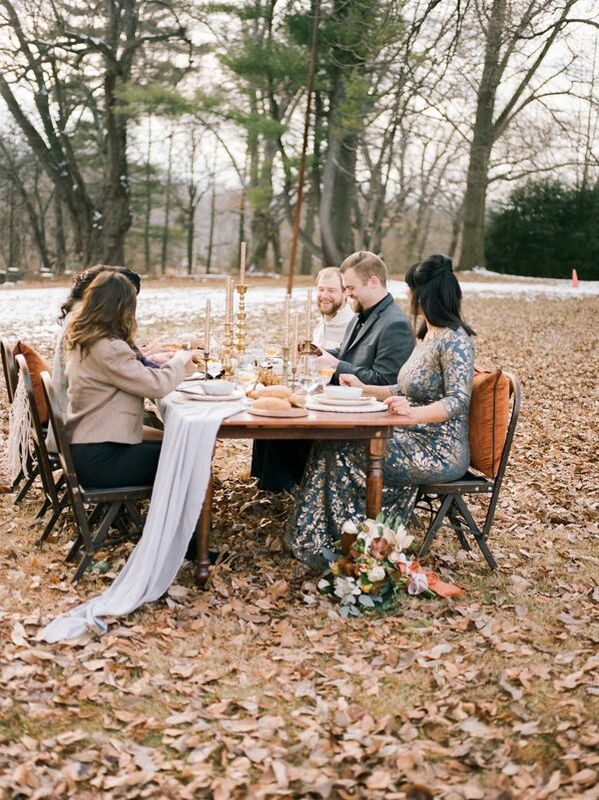 The colors are inviting, Allium Floral Design's rustic blooms are spot on, the food looks divine, and we're in awe how much beauty all the creatives magically made amidst the snowy terrain. 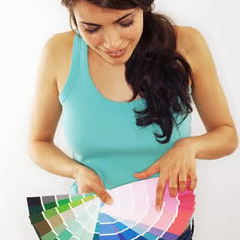 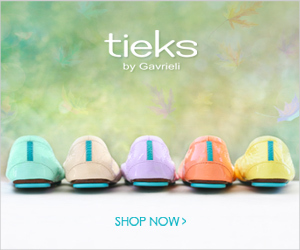 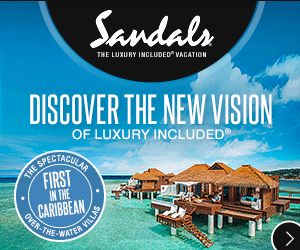 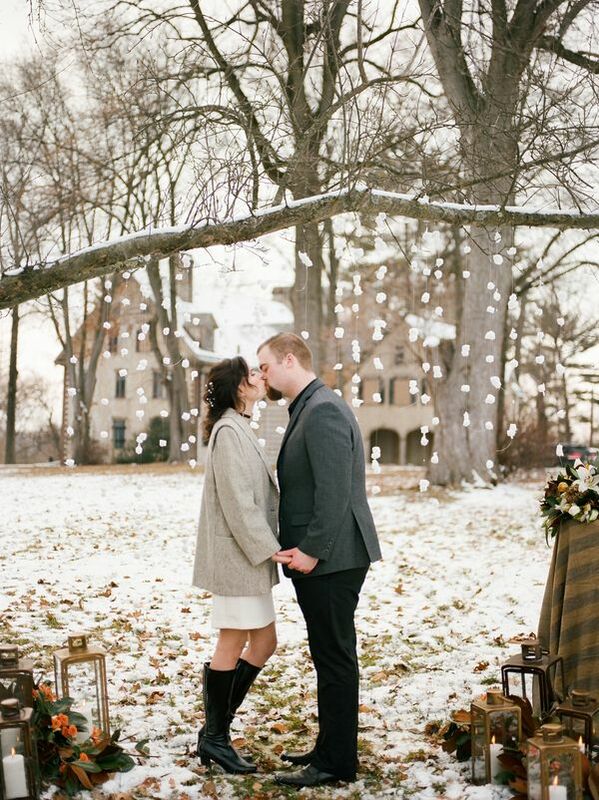 Such loveliness all around, and you want to be sure to soak it all in! 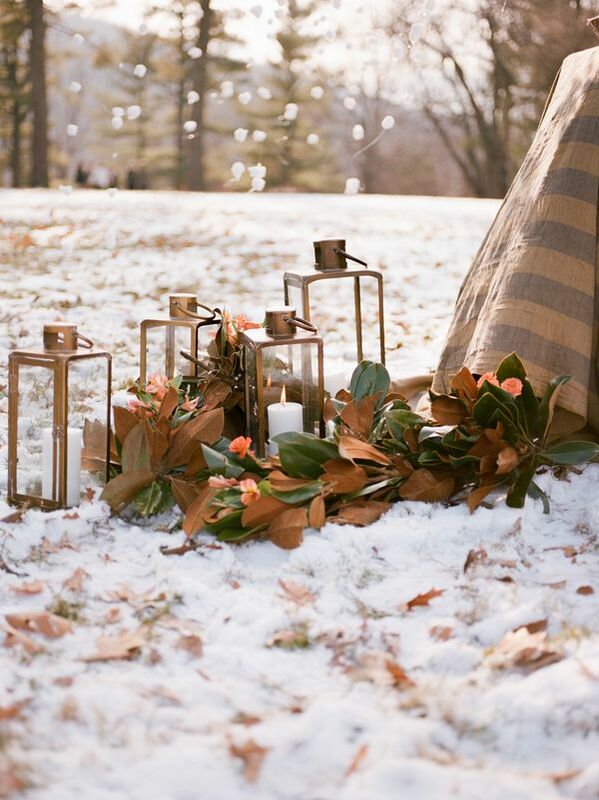 From the photographer, "When vendors come together with an out of the box idea, it takes flight and creates magic. 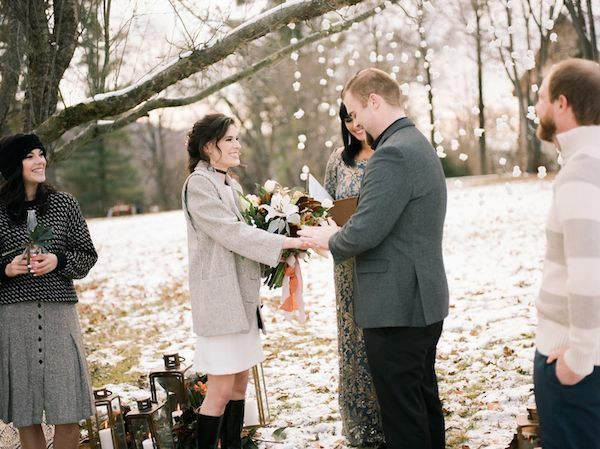 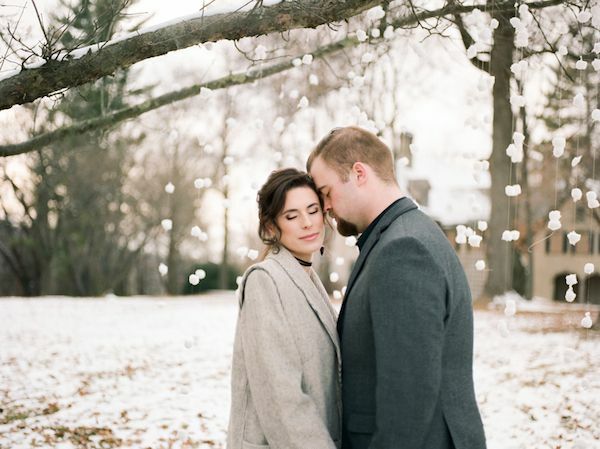 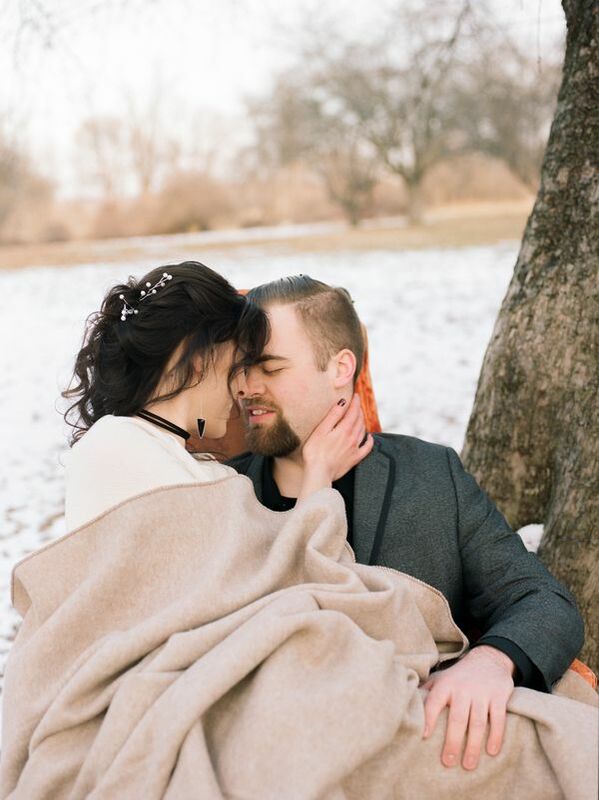 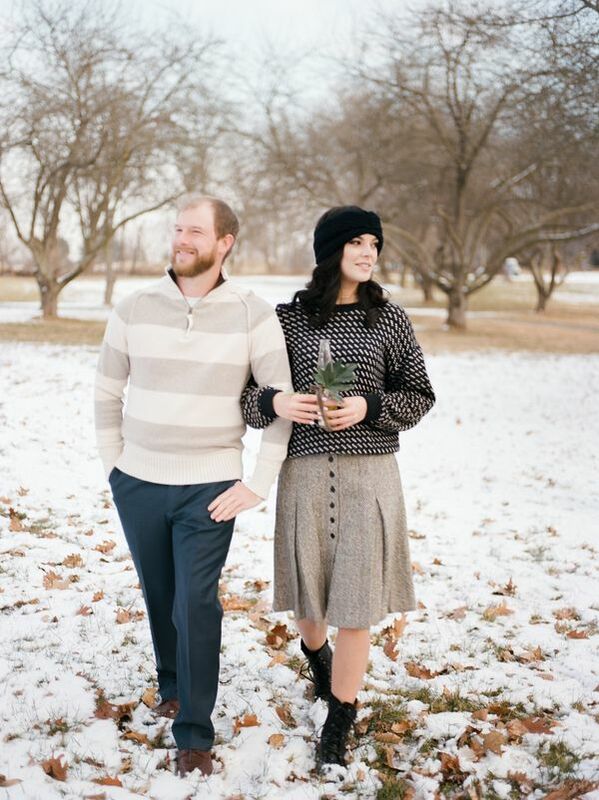 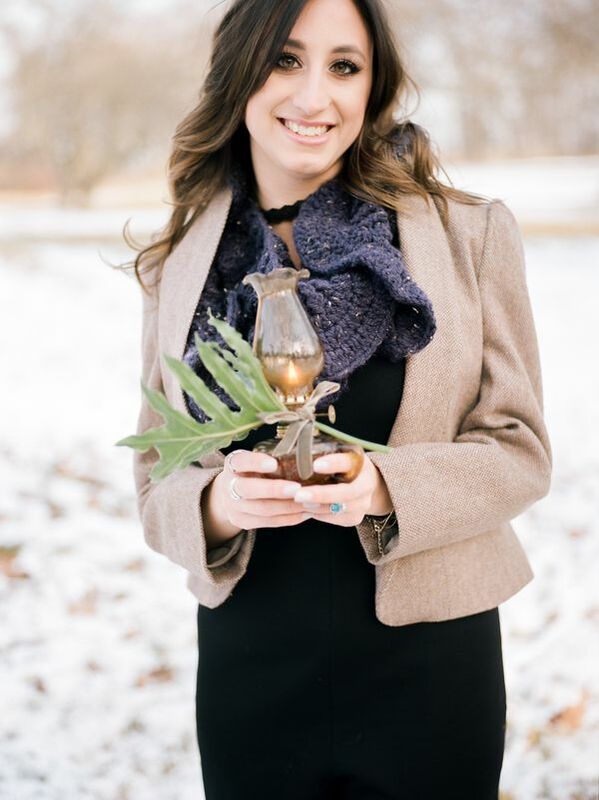 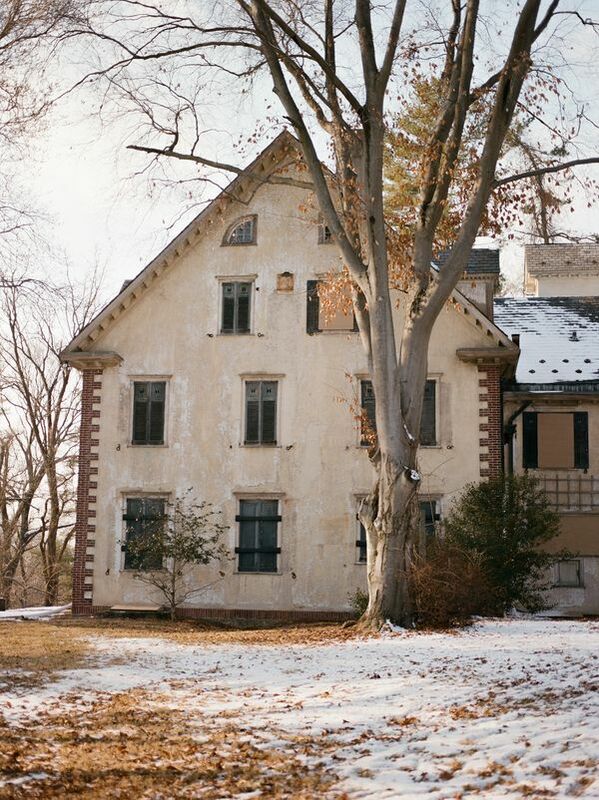 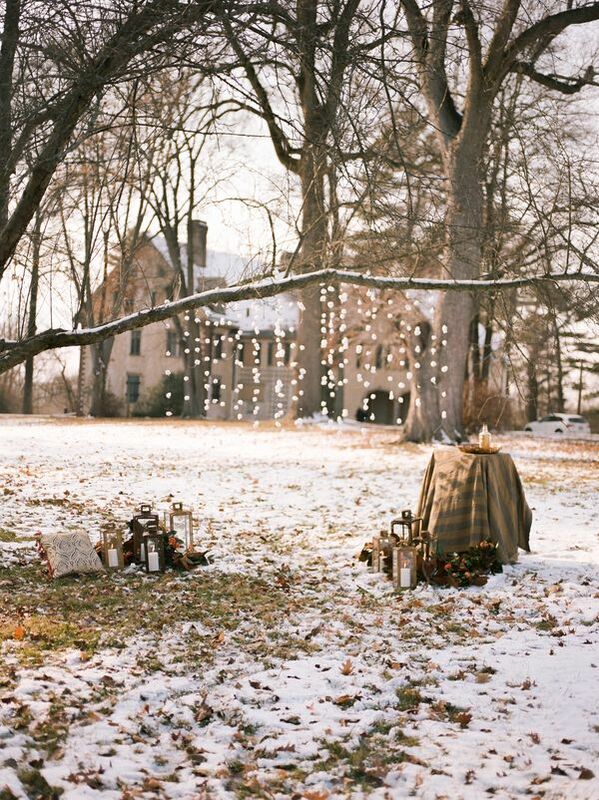 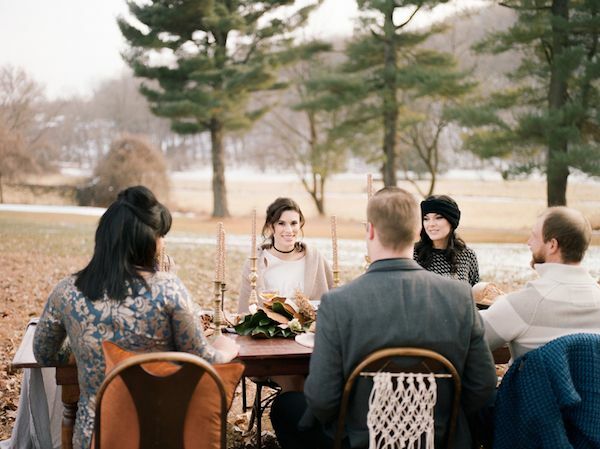 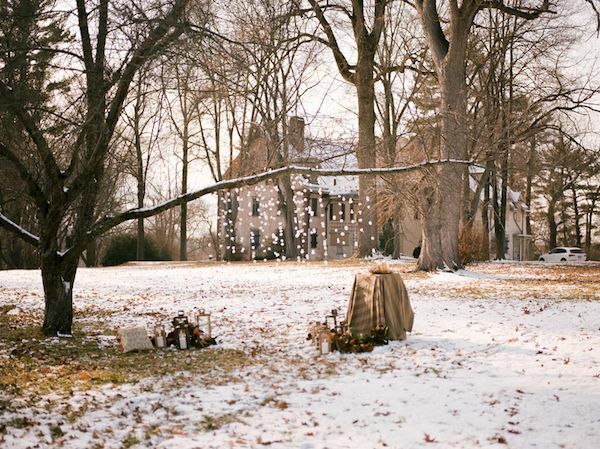 When I had an idea to have an outside winter elopement party at this gorgeous estate in Bethlehem, PA I never dreamed it would come together so beautifully." 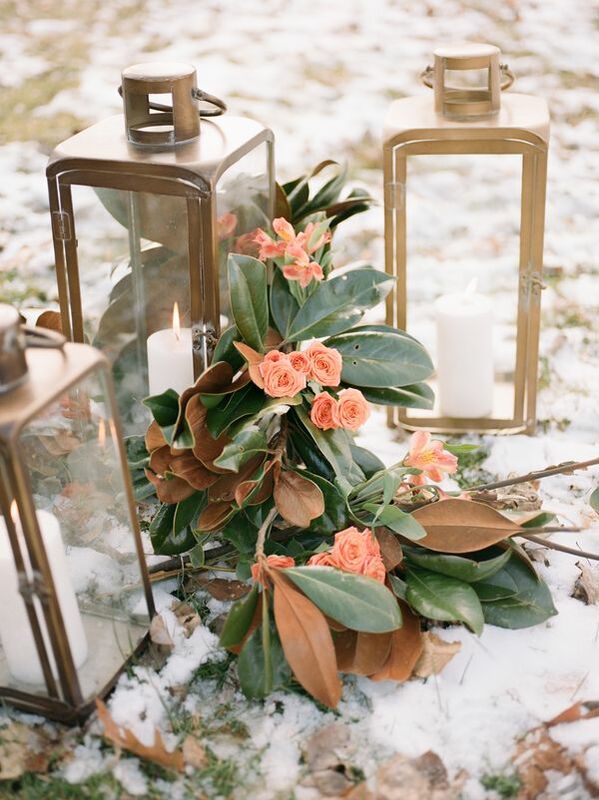 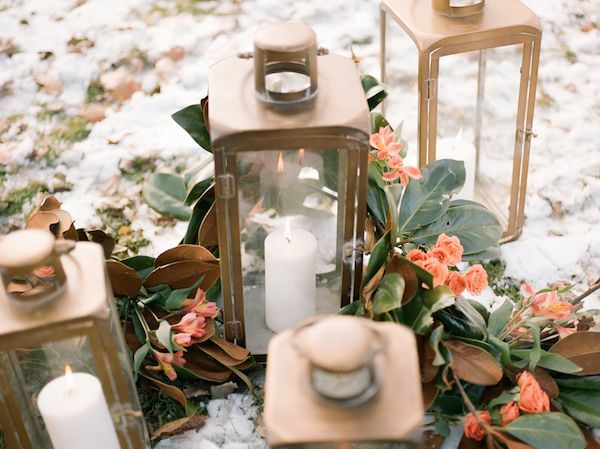 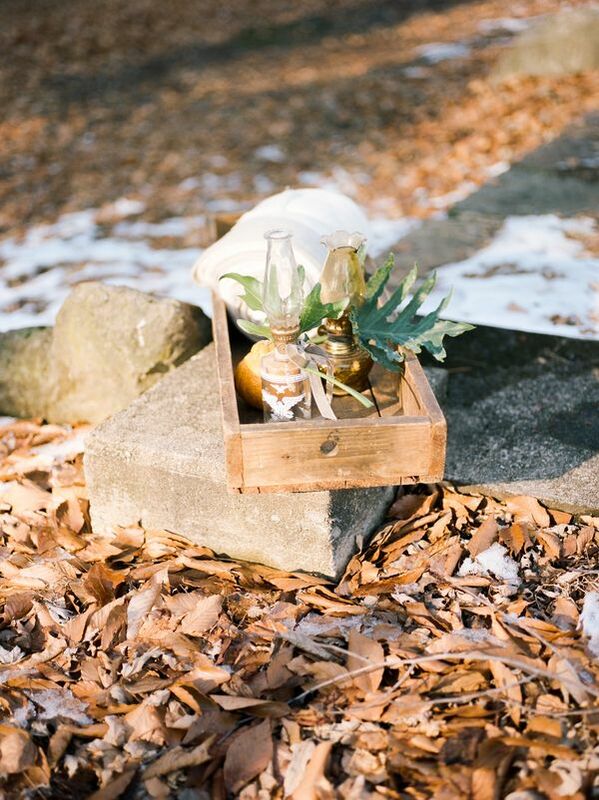 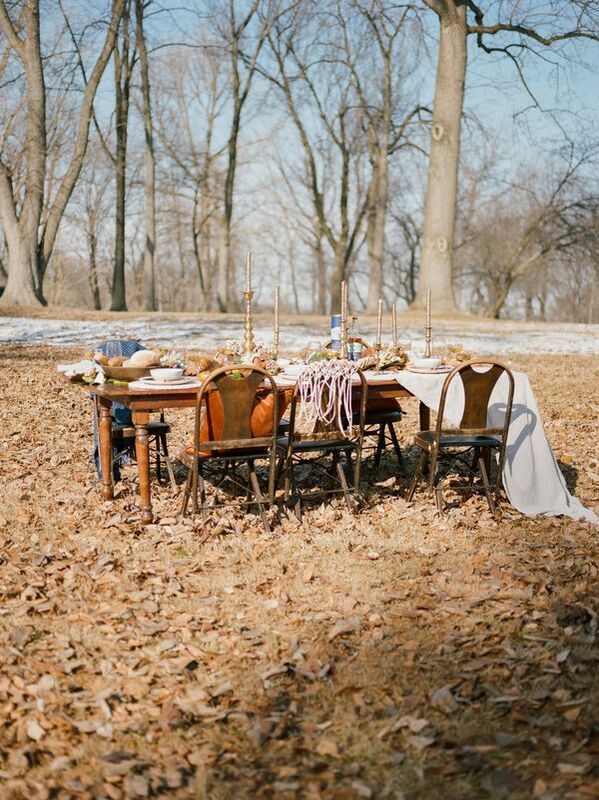 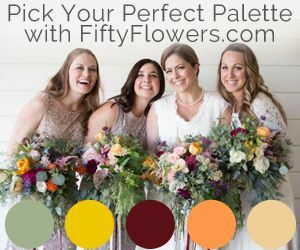 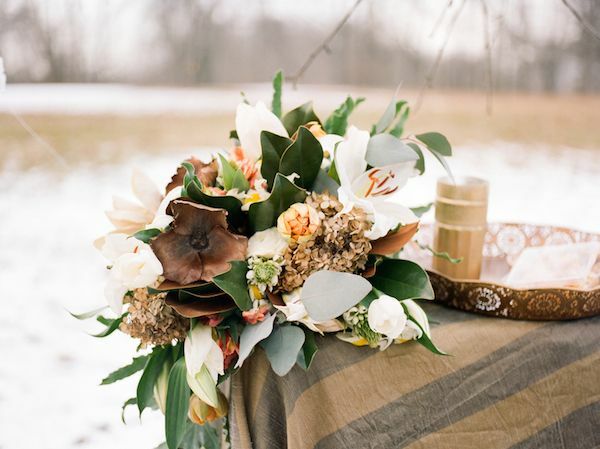 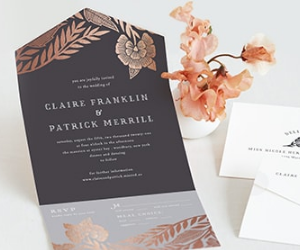 "To pull away from the traditional winter styled wedding, Sarah from Story by Design Events and Sarah from Allium Floral Design combined their creative gifts to come up with a color palette that pulled in all the elements of celebration outside on a particularly nice day in January." 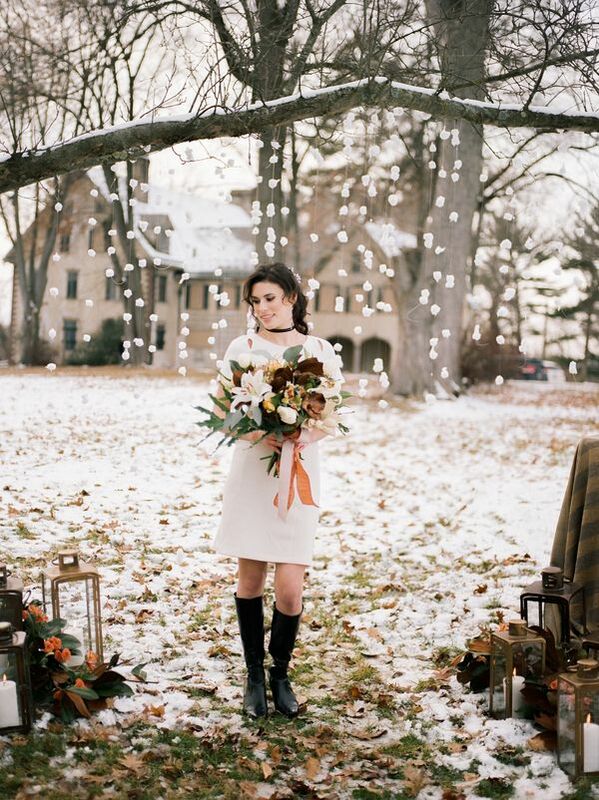 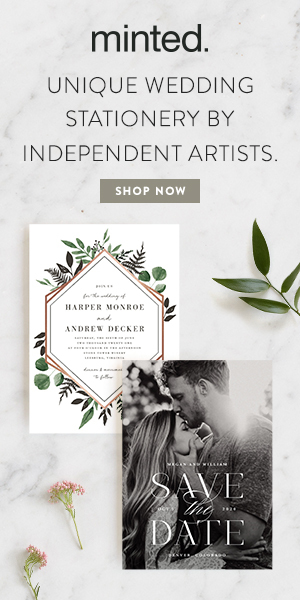 "We wanted to make sure that this shoot really emphasized celebrating two peoples love and commitment together." 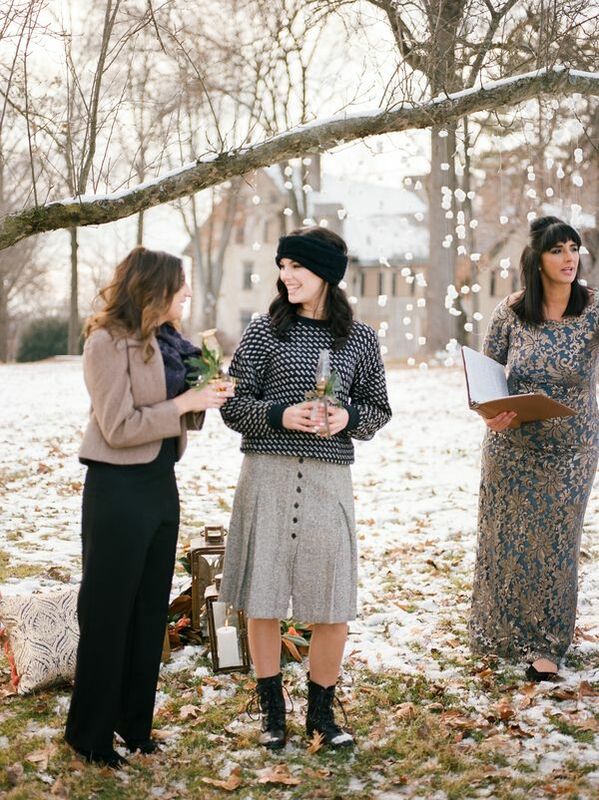 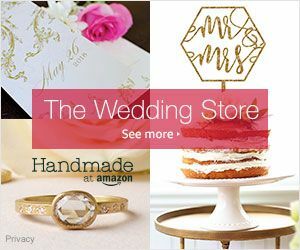 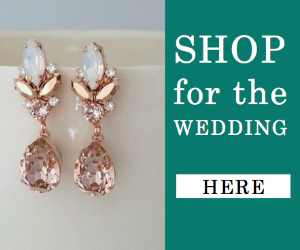 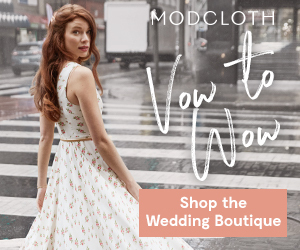 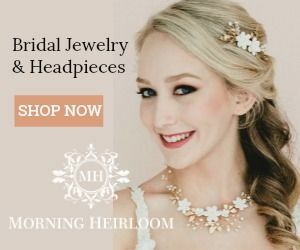 "Our officiant, Alisa Tongg, performed a romantic "Honey Kiss Ceremony" and our clothing stylist, Samantha Arnold of Loose Threads Boutique, kept the outfits simple and classy, to really pull in the elements of the gorgeous estate we were on. 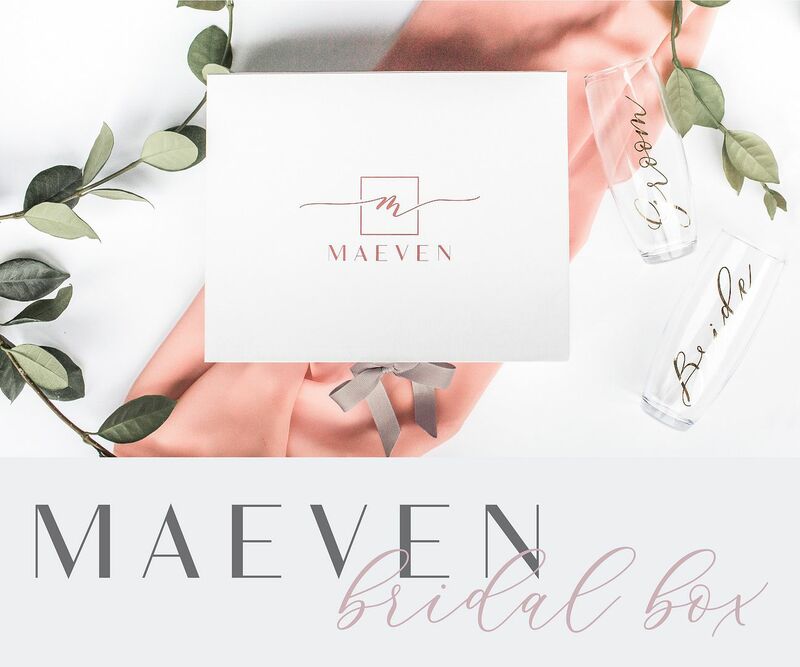 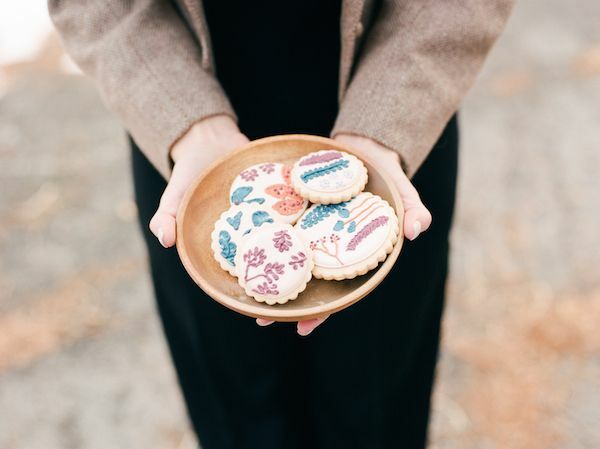 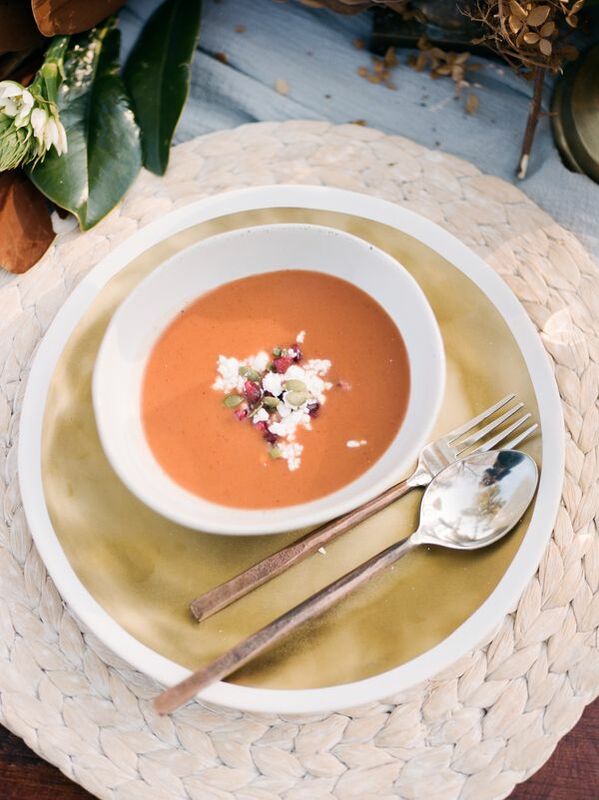 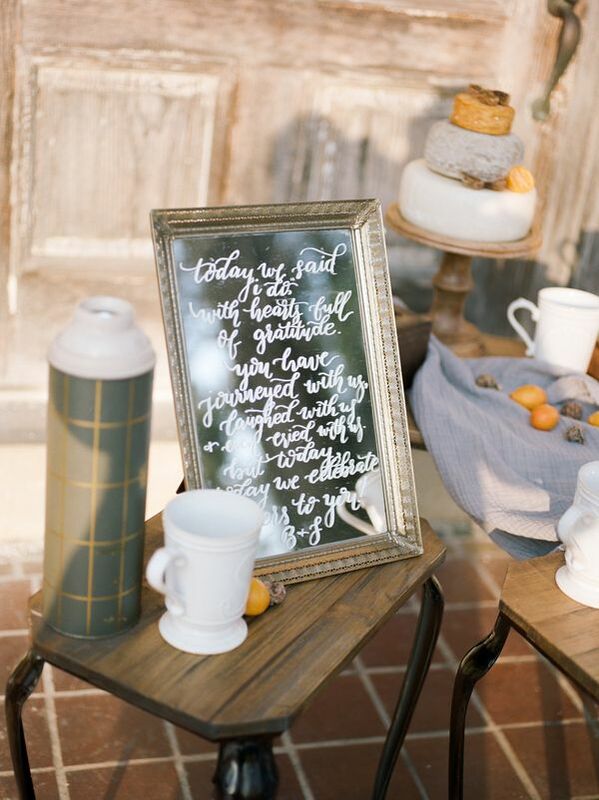 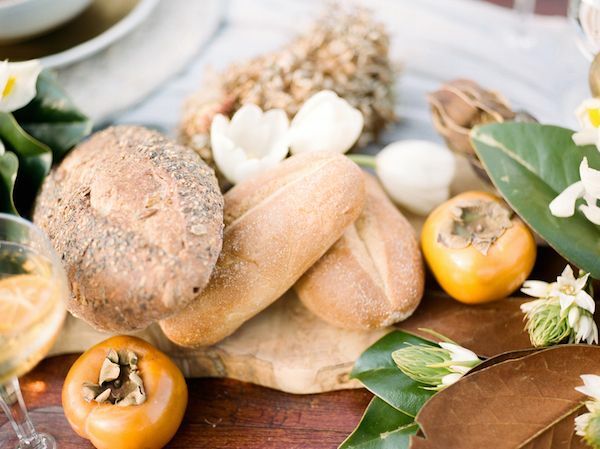 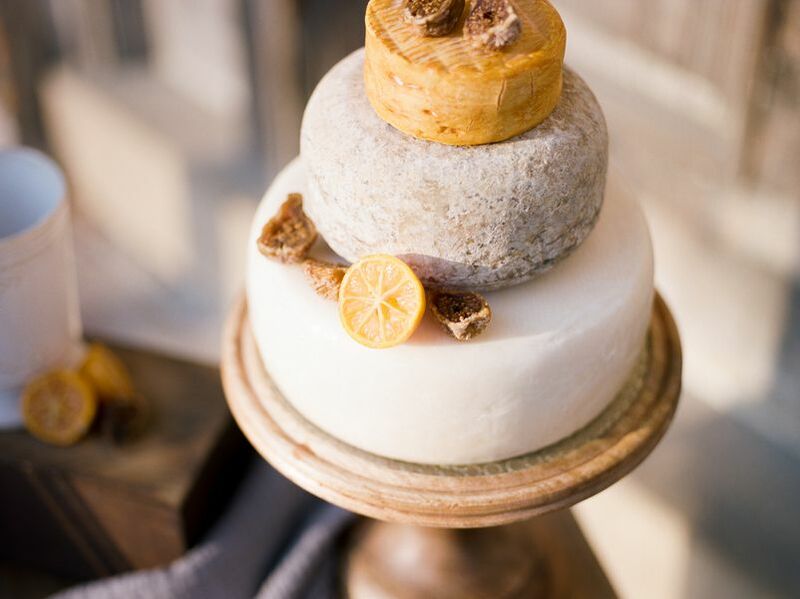 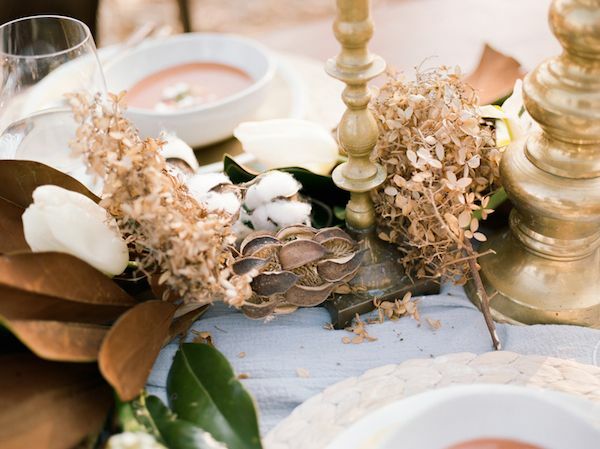 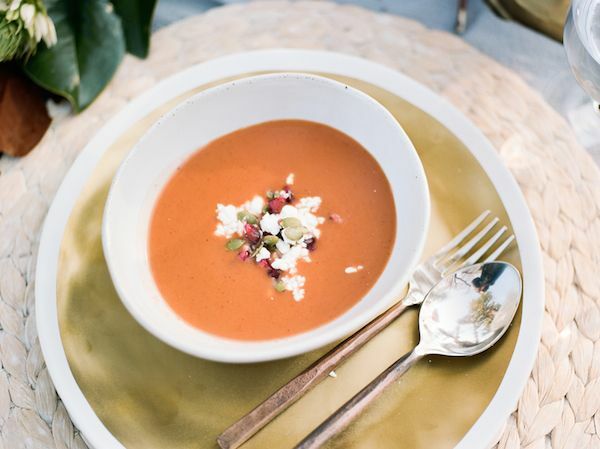 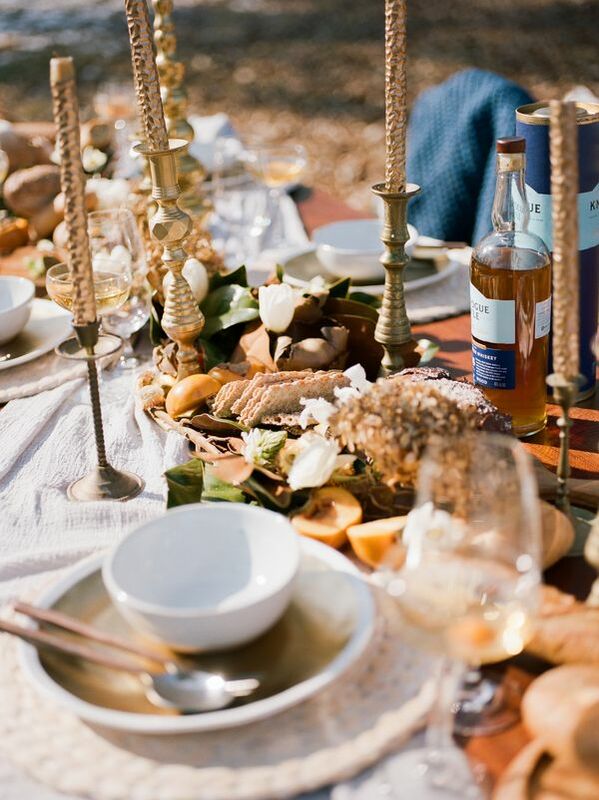 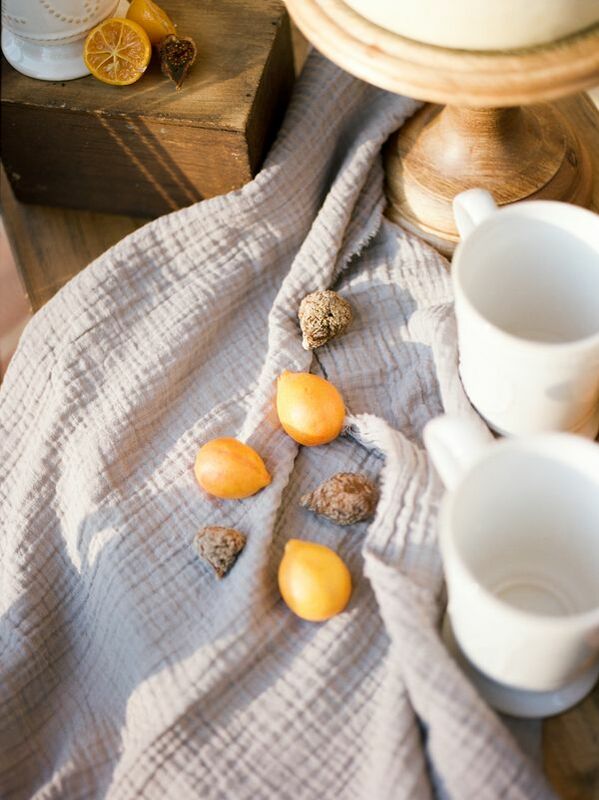 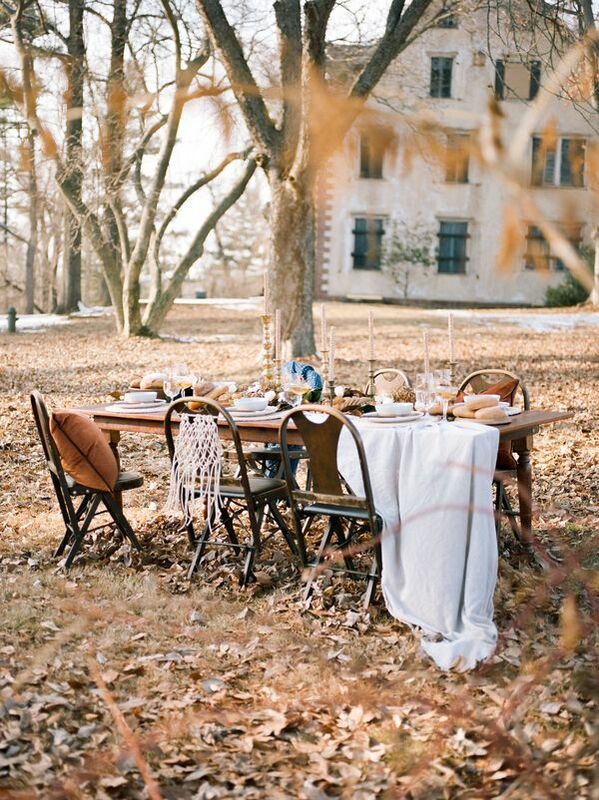 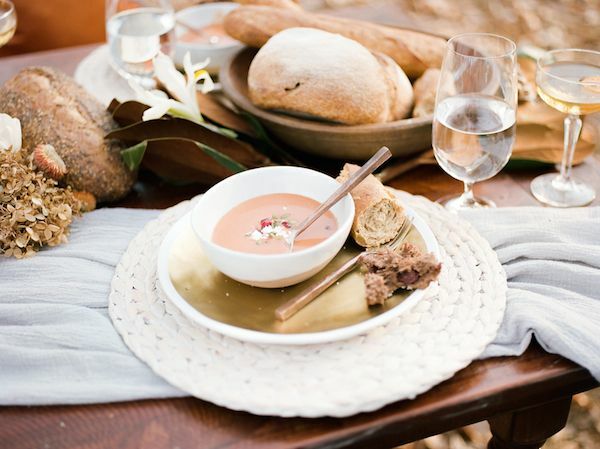 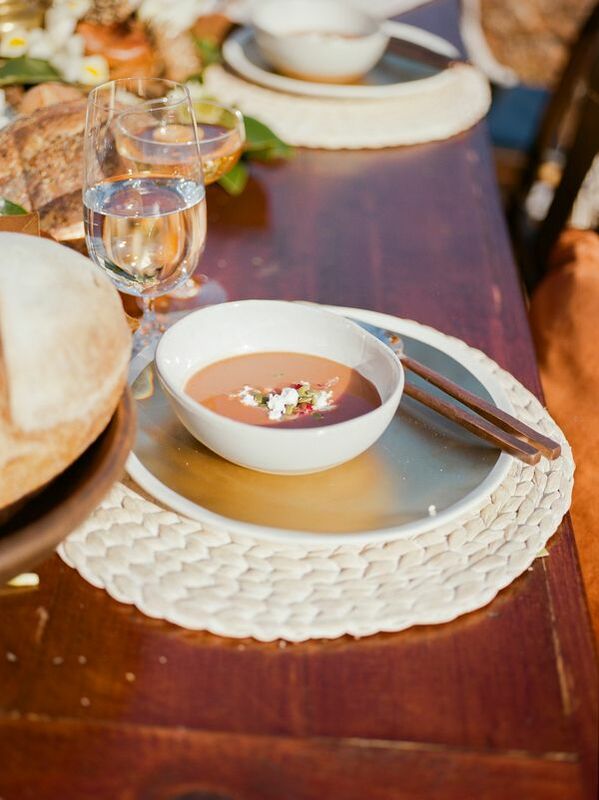 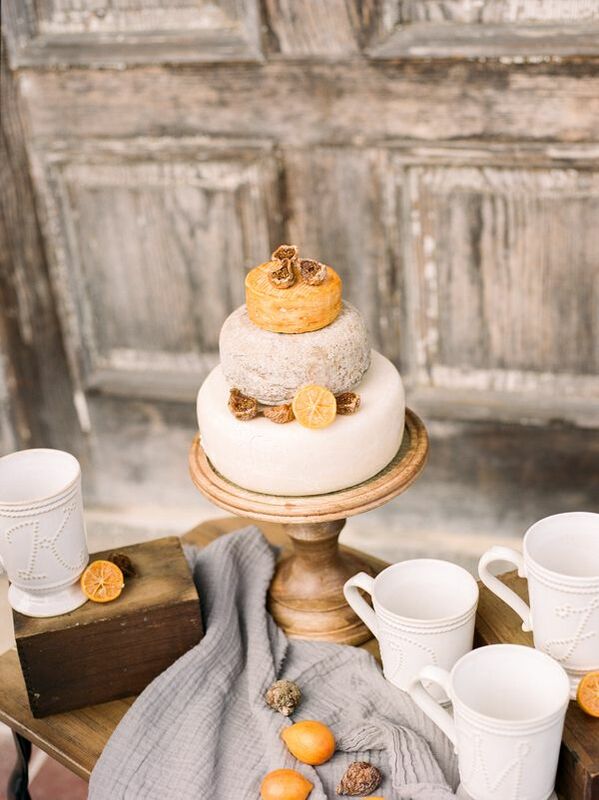 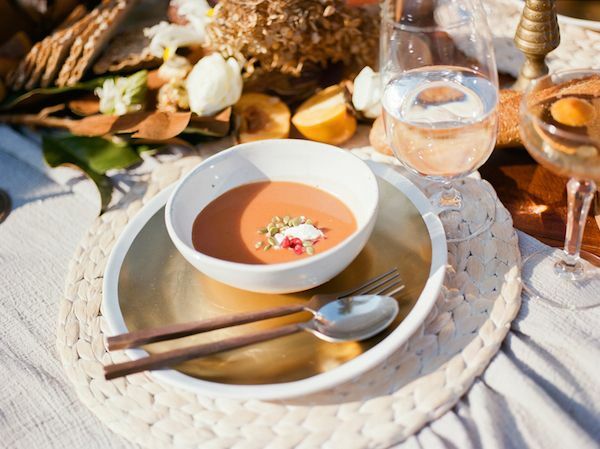 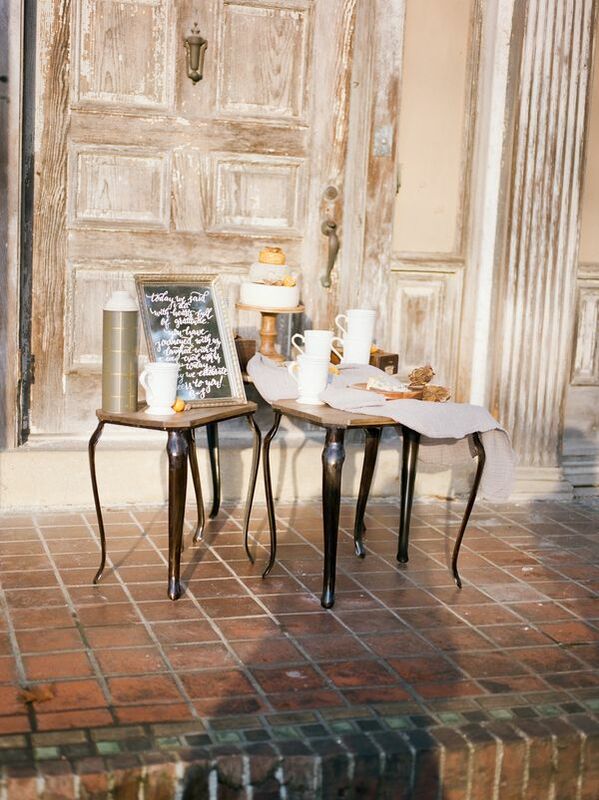 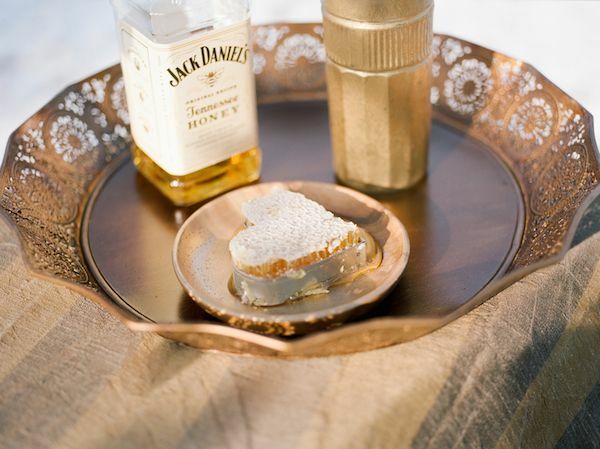 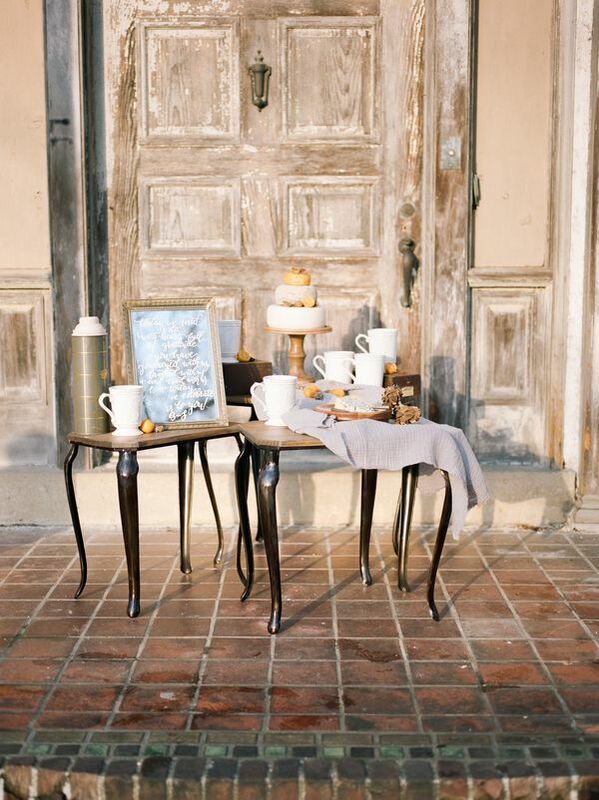 "Add in the beautiful soup made by Love Bites by Erika, the organic and delicious centerpieces made of flowers and warm bread, and the 'cheese' cake and hot toddies served for desert, this really was the perfect intimate elopement." 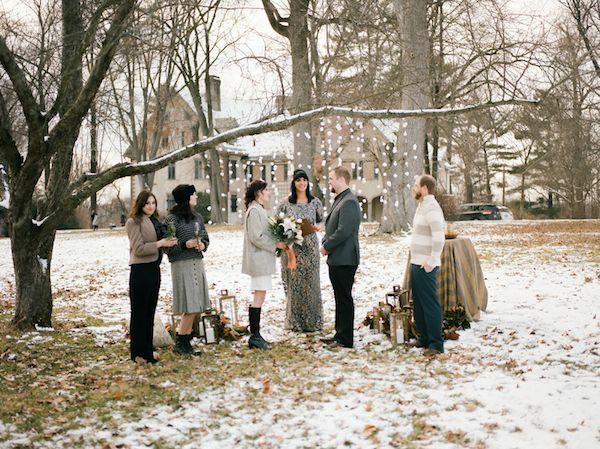 No Comment to " Intimate Winter Elopement Celebrated with Friends "